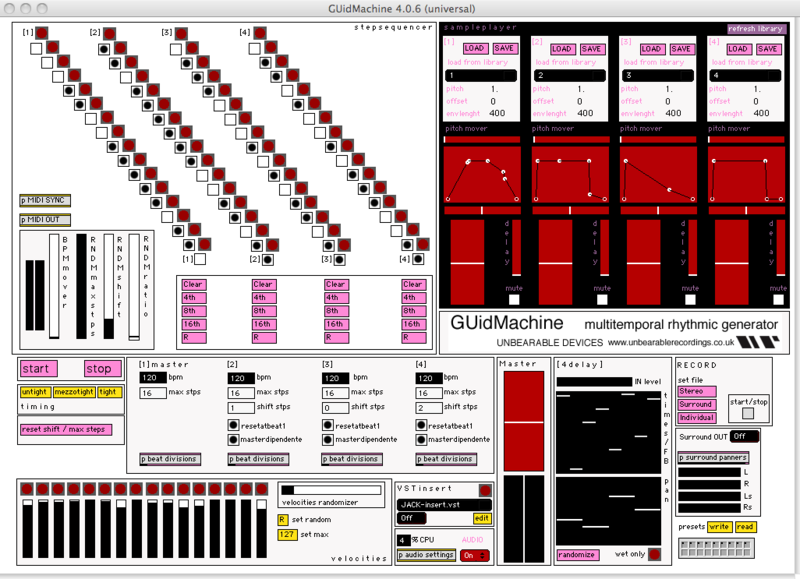 “The Guid Machine is a Step Sequencer combined with a sample player. 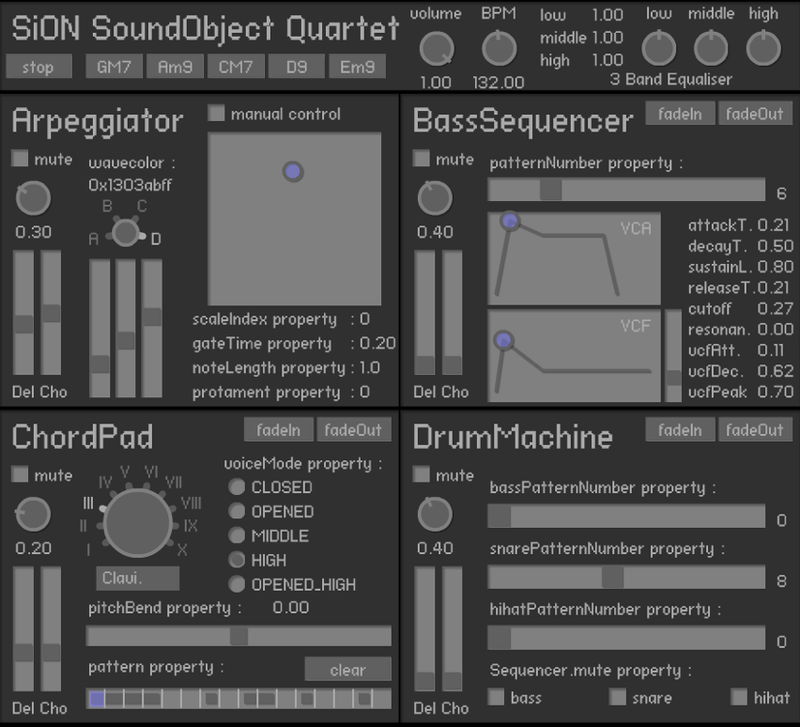 The Step sequencer has 4 X 16 steps while the sample player can load 4 samples simultanuously. Nothing new so far, but what makes the GUIdMachine special are a few unique features. First of all you can easily shift any of the sequences up and down by any number of steps and you can decide the length of each raw. But even this is not news. Whatâ€™s special about it is that you can randomize this modifications and so the pattern will never be constant if you want. and make the loops more interesting. 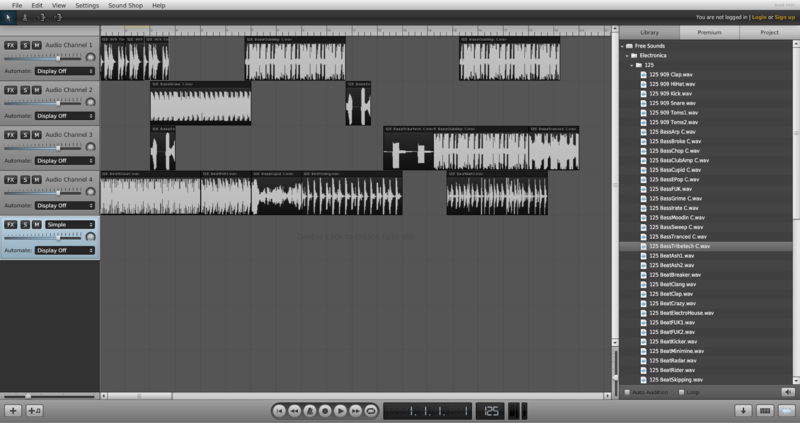 But the most unique feature is that the 4 sequences can play at 4 different BPMs! The Sample Player section is a fairly straight forward 4 voices sample player with a good envelope section and the possiblitly to change the pitch , the length , the start point all on the fly. 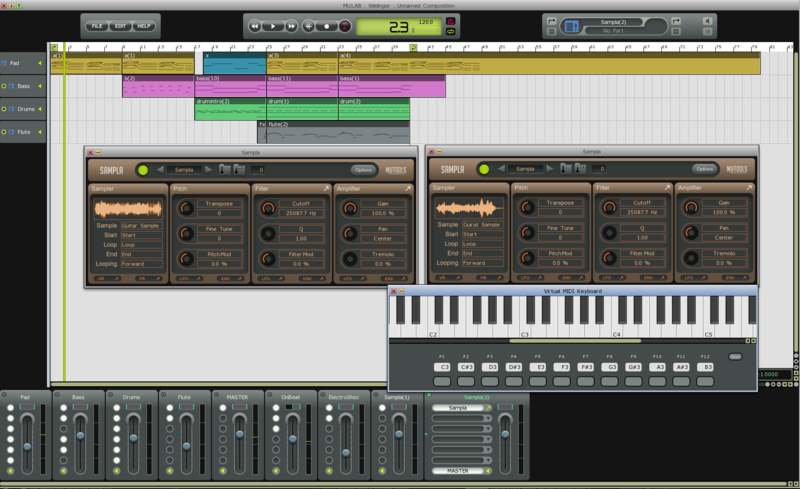 A powerful online sequencer with real time effects, virtual instruments and a fully integrated Sound Shop. Not fancy but works quite well. 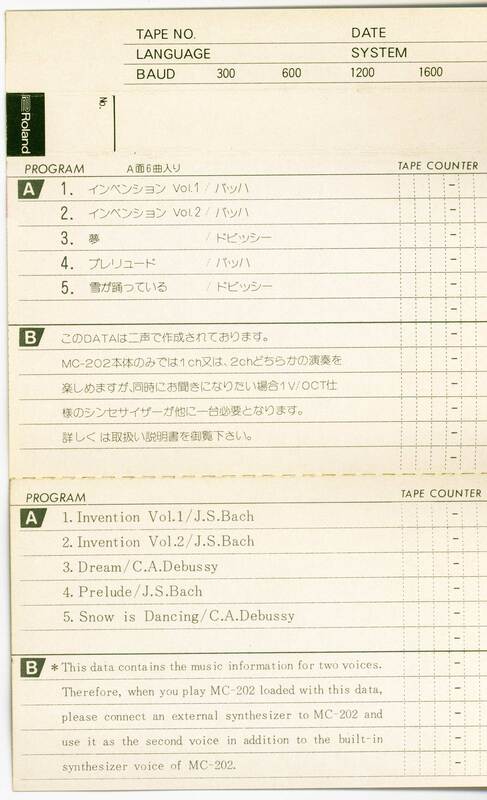 If you own or have access to a Roland MC-202 Synth here is the original data cassette that came with the machine. I have not tested this but it should work fine. “Long before Roland reinvented itself as a purveyor of DJ-friendly groove gear, the MC-202 was the original groove box. Despite being almost 20 years older than the Roland MC-303 and MC-505, the MC-202 fits snugly into the hip, knobby, bass-heavy world of dance music. Introduced in 1983 — the same year as the first MIDI instruments — the MC-202 lacked MIDI capabilities. You could scarcely give one away. Roland Corporation‘s chairman Ikutaro Kakehashi once told me it was the company’s worst-selling keyboard product. That may be an exaggeration; now Roland says the fabled TB-303 sold even fewer. 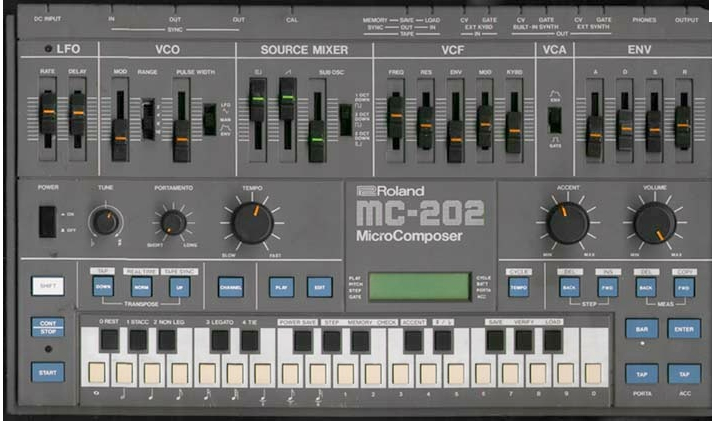 The “MC” in MC-202 stands for MicroComposer, which is Roland’s fancy name for a sequencer. 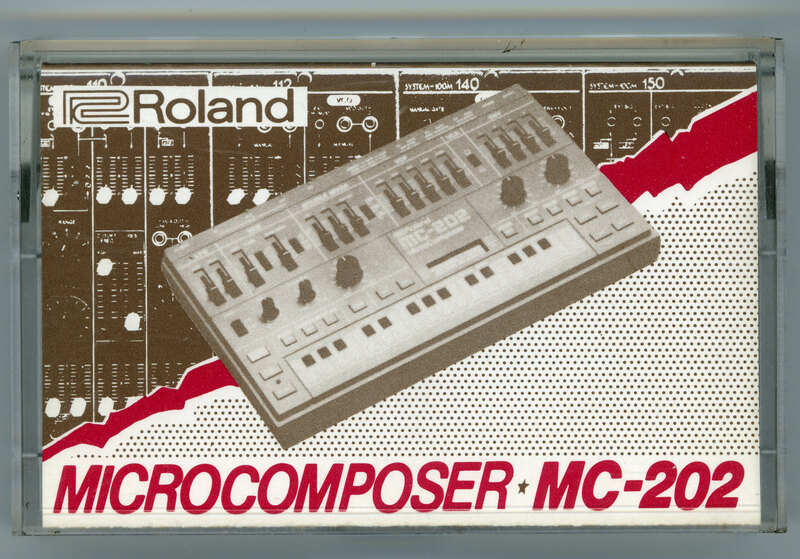 The MicroComposer has been a Roland specialty since the MC-8 and MC-4 were unveiled in 1978. As an all-in-one sequencer and sound source, the MC-202 is a direct descendent of the MC-4 and Roland’s SH-101 monophonic synthesizer. It was designed to be a host for the SH-101, the TR-606 Drumatix drum machine, and the TB-303 Bassline. If only Roland’s marketing department had thought to call the MC-202 a workstation, or even a “walkstation” (you can run it on six C batteries and monitor it with headphones), its sales might have turned out differently. The MC-202 is small but chunky with a 32-pad keyboard for entering notes rather than playing, an LCD (a rarity at the time), and sliders and buttons for controlling the synth section. Saying that the MC-202 is reminiscent of the SH-101 puts it mildly; aside from the absence of a noise generator and a slight reworking of the low-frequency oscillator (LFO; fewer waveforms, but with a delay parameter), the sound engine is an SH-101. Like the SH-101, the MC-202’s design features an oscillator and a suboscillator; nonetheless, you can build up a fairly substantial sound because the pulse wave, sawtooth wave, and suboscillator have volume-control sliders. Pulse width can be set manually or modulated by the LFO or the ADSR envelope generator (EG). The LFO, which generates a sine wave, has simple rate and delay controls. The resonant 24 dB — per — octave lowpass filter can be modulated by the LFO or EG, but it must conform to the amplifier’s EG unless the amp is in its Gate position. A free-flowing slider controls keyboard tracking. Understandably, the MC-202 specializes in bass and lead synth sounds. From thick, rich pulse-wave spreads to precision sawtooth sounds spiked with resonance, the MC-202 belies its size and price when it comes to low-end power. Even with the ahead-of-its-time LCD of notes and Gate times, the MC-202 is hardly user-friendly. 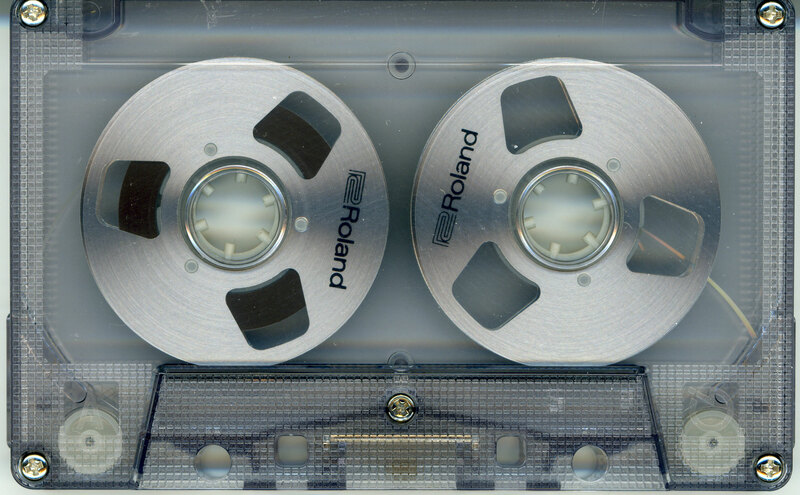 You can store sequences internally if batteries are installed, but for permanent storage, you should offload data to cassette tape; a jack is provided for that purpose. The MC-202’s sequencer can store 2,600 notes on two tracks. Input methods are quirky by modern standards. In real time, you play along with the metronome using the little keyboard pads, but that isn’t as easy as it sounds. You can also enter data in “tap” mode, tapping in the notes first and the rhythm afterward, or use step-time input, complete with dotted rhythms and rests. You can add expression with Portamento and Accent; Accent controls the filter cutoff or the amplifier level. With enough practice, an expert user can enter just about any monophonic line, style, or rhythm into the MC-202’s sequencer. Its dual-channel sequencer is configured to trigger the internal sound on one track and an external sound source — such as the SH-101, the TB-303, or even another MC-202 — on the other using the Control Voltage (CV) and Gate jacks. 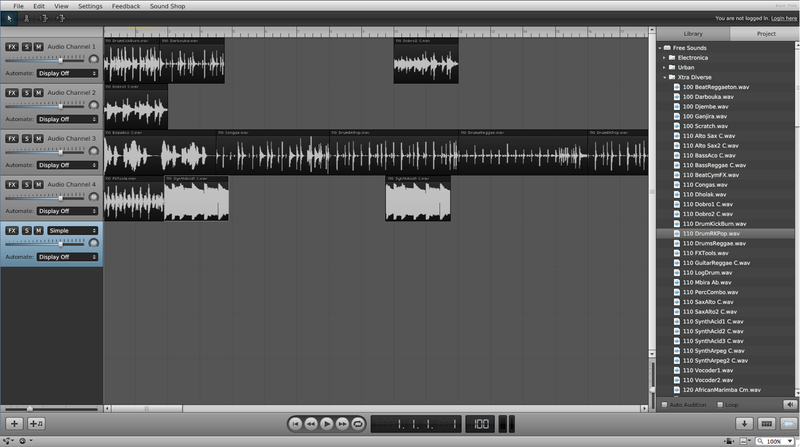 Both tracks can control external instruments, but only one can trigger the internal synth engine. Theoretically, the MC-202 is equipped for the outside world. It can sync up a host of rhythm-based instruments, including the TR-606 and TB-303, and its sequencer can control almost any synth that has 1V-per-octave CV and Gate inputs. The MC-202’s CV and Gate outputs are not completely satisfactory in speed and range, though, because an incoming signal lags unacceptably as it journeys through the internal circuitry before triggering a note. However, DIN Sync (aka Sync24) is available and provides more reliable results. You can sync the MC-202 to MIDI if you have a MIDI converter that features DIN Sync. Some users have successfully experimented with synchronization using FSK sync straight into the MC-202’s Tape Sync In jack, which fools the MC-202 into thinking it’s receiving the data from tape. 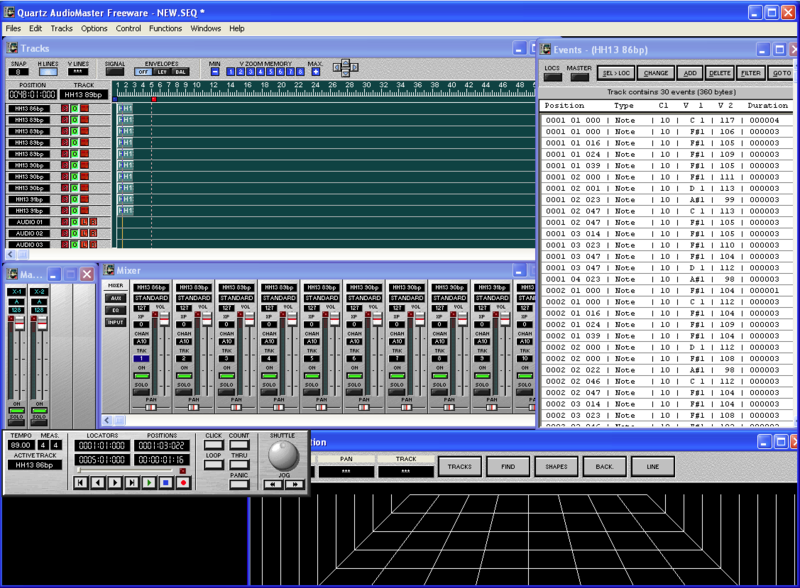 A small subculture of modifications, and even a few computer applications, have sprung up for the MC-202; one of the more fascinating is 202 Hack, a shareware Java application that converts Standard MIDI Files into MC-202 sequence data. You can purchase the application from Defective Records (www.defectiverecords.com), the dance-music label co-owned by 202 Hack’s author, Dan Nigrin. Julian Colbeck has toured everywhere from Tokyo to São Paulo with artists as varied as Yes, Steve Hackett, John Miles, and Charlie.